Triplett Dance Academy, opened in 1983, has trained thousands of dancers in ballet, jazz, tap, hip-hop, pointe, and contemporary along with a Young Dancer Program and workshops in musical theater. 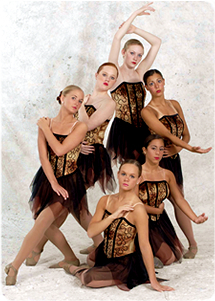 The Academy welcomes all dancers – preschool students, younger dancers and advanced students – to it’s classes. At Triplett Dance Academy, dancers experience individualized instruction in a supportive and challenging program led by expert teachers from some of the most prestigious dance companies around the world. Studio Hours: Call for summer days and times. If you would like to tour our studios and meet our exceptional staff, please call 609.953.3434 or contact us to schedule an appointment.